Visit my web site www.cpetzold.com for updated information regarding this book, including possible bug reports and new code listings. The domain cpetzold.com does not load, anymore. Please visit Charles Petzold's new domain at www.charlespetzold.com. Also, the email address listed on the same page is no longer valid. Please visit his new domain for an up-to-date email address. If you wish to write him concerning a problem with the book, you may also like to review the web page you are viewing right now to see if the problem has already been resolved. If not, you can contact me via the email address listed at the bottom of this page. I do a minimum of error checking in the sample programs in this book. This is not because I don't think error checking is a good idea, but because it would distract from what the programs are supposed to illustrate. I have decided to write this in my Errata Addendum because I believe most people are not aware that GetMessage() is one of those functions that they should be testing for errors. The Message Loop is important, as it is the core of just about every Windows program created. The fact that any nonzero number is equivalent to true, means that when there is an error, the loop will not quit, but will attempt to translate and dispatch the message in msg, which probably still contains the last message information (it is undocumented what it actually contains). However, since the CreateWindow() call is so important, each program would be better if it checked the return value from CreateWindow() before using it in the subsequent call to ShowWindow() from within the WinMain() function. All programs whose WM_PAINT message handler redraws the entire client area (that is, in all cases of repainting, without using ROPs (raster operations) that merge with the background), do not require a background brush. Windows automatically fills the client area with the background brush selected when a window is resized. It does so by sending a WM_ERASEBKGND Notification to the window, and the default processing of this message, via the DefWindowProc() Function, is that the background is 'erased' by using the class background brush specified by the hbrBackground member of the WNDCLASS structure. If this is NULL, the background is not erased (although the application could process the WM_ERASEBKGND Notification and erase it manually). Thus, for programs that are going to fill the client area themselves in their WM_PAINT handler, this will result in a slower application that flickers needlessly. The flicker occurs because the application fills the client area completely immediately after Windows has just finished filling it in with the background brush. and the window will no longer flicker. Almost all of Charles Petzold's examples can have this macro to speed up build times. If there are programs that report errors because they use certain functions that require headers excluded by this macro, you can either not define the macro, or define that specific header. You can find out what particular headers are required for these functions by looking at their MSDN pages. If you have a local copy of MSDN, place the cursor on the function name, and press F1 to load its MSDN page. "Security Alert: Using this function incorrectly can compromise the security of your application. The string returned in lpOut is not guaranteed to be NULL-terminated. Also, avoid the %s format -- it can lead to a buffer overrun. If an access violation occurs it causes a denial of service against your application. In the worse case, an attacker can inject executable code." You should always play it safe and use the 'Max-length Version' of the function you wish. This ensures buffer overflows will never occur. When using the 'Max-length Version' functions, please note that most, if not all, do not ensure NULL termination. I have posted an errata elsewhere in this list about the improper use of such a function in the coding example on page 37, Chapter 2.
a handle to the button's parent window. This is normally a dialog box, whose handle is stored in a variable called hdlg, which means 'handle to dialog'. Some of the examples in the book create a dialog box as the program's main window. Since Charles Petzold has been consistent in that the main window's handle is stored in a variable called hwnd, some of these examples have buttons whose parent's handle is hwnd. This is the identifier that you give the button when you create it inside of a dialog using the resource editor. For the default 'OK' and 'Cancel' buttons, they are IDOK and IDCANCEL, respectively. The examples in the book use the notation IDC_NAME, where 'IDC' means 'ID of a control', as explained on page 504, Chapter 11, A More Complex Dialog Box, and 'NAME' is whatever you prefer to call your button. These identifiers are defined in RESOURCE.H as a result of their creation in the resource editor. wParam: The high-order word specifies the notification code. wParam: The low-order word specifies the identifier of the button. lParam: Handle to the button sending the message. Let us analyze Charles Petzold's method to see what is different. Firstly, he does not combine two pieces of information into one to be passed into the wParam parameter. He simply passes the identifier of the control. You will notice that because BN_CLICKED is defined as 0, that our MAKEWPARAM call results in just being the identifier of the control. So, his code was logically correct. However, it is still bad code, as it obfuscates what is actually happening. When you look at the fixed code above, you know that you are sending a BN_CLICKED notification code to this control's parent. Secondly, he passes NULL for the lParam parameter. As explained on the BN_CLICKED page, the lParam parameter is the handle to the button. To properly emulate a user pressing the button, everything should remain identical to the real thing. Logically, the only difference in the code was the lack of passing the handle to the control sending the message. Since the original code works, does this really matter? It matters only to the code that handles the message. Since this code exists in your own dialog box window procedure, it is up to you whether it uses this information or not. None of the examples in the book have any reason to use such information, therefore it does not matter whatsoever, in these cases. However, I would like to stress again that it is better code to explicitly pass all information, so that you and others who read your code will understand exactly what is going on. If this is so much simpler, why don't we use it, instead? Because, it causes a button press by emulating a mouse click. This is done by sending mouse messages to the button, expecting the button to respond appropriately. Which it does, by sending the desired BN_CLICKED notification to the button's parent, but, it also responds appropriately to a mouse click by giving the button the focus. In almost every case that we wish to emulate a button press, we merely wish to run the handler code for the button, and do nothing more. Often, the handler code for a particular button will wish to run the handler code for another button. Instead of making identical code (which causes two places for code to be updated, if it ever changes, introducing a higher probability of bugs), the button emulates a button press to run it. But, imagine how annoying it would be if the user presses the original button, and the focus changes to the other button. This is especially annoying if the user is using the keyboard for control. A user could potentially be scrolling up and down in a list box, and suddenly, because a button press was emulated, the focus moves to the button, and now the up and down arrow keys merely change button focus from one to another, rather than scroll through the list. This is why it is best to stay away from this method. "A window may receive internal paint messages as a result of calling RedrawWindow with the RDW_INTERNALPAINT flag set. In this case, the window may not have an update region. An application should call the GetUpdateRect function to determine whether the window has an update region. If GetUpdateRect returns zero, the application should not call the BeginPaint and EndPaint functions." Programming Windows, 5th Edition was written for the C programming language. However, most people reading it today likely have a C++ compiler. While a lot of the programs will compile fine in C++, some will return errors due to C++'s type checking. However, when adding explicit typecasting for C++, you should be aware of the 64-bit Portability Issues elsewhere in this errata list. You do not want to typecast a pointer or handle to int, because it is a 32-bit integer, even on 64-bit machines. On a 64-bit machine, you'll lose 32-bits of the pointer, and the compiler will not complain since it assumes you know what you are doing if you are supplying the typecast explicitly. GetDialogBoxUnits on page 1437 should be GetDialogBaseUnits. Any errata listing misprints in the text, such as the incorrect function name is used, has resulted in the index stating that location of that incorrect name. Thus, the index is incorrect in all of these errata. Programming Windows, 5th Edition was written for 32-bit machines. You will run into issues for all programs when compiling them on a 64-bit machine, or when attempting to detect 64-bit portability issues with a compiler switch such as Visual C++'s /Wp64 (Detect 64-Bit Portability Issues) switch. You will note that the Win32 API has upgraded many of its functions to handle new data types that change in size depending on whether you are using a 32-bit or a 64-bit compiler. Thus, you will need to typecast parameters into these data types for them to work on both architectures. Please see Getting Ready for 64-bit Windows for more information. On page 16, Chapter 1, The MessageBox Function, on the very last line, the text mentions the HELLMSG.C program. The correct name is HELLOMSG.C. UNICODE is supposed to be _UNICODE. Also, the differences between UNICODE and _UNICODE are not explained until the very last section of this chapter, even though the chapter mentions both several times. This may give the reader worries about what the exact differences between the two are, until the end of the chapter. Then, it would be required to re-read the entire chapter again for proper understanding of these terms throughout the chapter. Basically, to maintain a single source that compiles in both ASCII and Unicode, you will need to define some identifiers. The UNICODE (without the underscore) identifier is recognized by the Win32 API. The _UNICODE (with the underscore) identifier is recognized by the C run-time library. Define it if you use any C run-time functions that have strings as parameters. You can read more details regarding this on Raymond Chen's blog, The Old New Thing, in his TEXT vs. _TEXT vs. _T, and UNICODE vs. _UNICODE article. However, this has not been true since the adoption of ANSI C in 1990. On page 37, Chapter 2, A Formatting Message Box, the code listing shows a method to allow formatted text, in printf() style, to be displayed in a message box. You will notice the use of the _vsntprintf() function. This is a variant of the printf() function which allows, among other things, a restriction on the number of characters written to the output (signified by the 'n' within the function name). This is good, as it avoids the dreaded buffer overflow security problem. However, it does not guarantee the output is NULL terminated. This occurs when what you write to the buffer is larger than the buffer. It writes as many characters as it can before it runs out of room, without stopping one character sooner to append a NULL as the final character. Therefore, you must do this yourself. "If you replace _vsntprintf in SCRNSIZE.C with the Windows function wprintf (you'll also have to eliminate the second argument to the function), the Unicode version of SCRNSIZE.C will not run under Windows 98 because Windows 98 does not implement wprintfW." "If you replace _vsntprintf in SCRNSIZE.C with the Windows function wsprintf (you'll also have to eliminate the second argument to the function), the Unicode version of SCRNSIZE.C will not run under Windows 98 because Windows 98 does not implement wsprintfW." How does the application know that the user has changed the window's size? For programmers accustomed to only conventional character-mode programming, there is no mechanism for the operating system to convey information of this sort to the user. "...to convey information of this sort to the programmer." This handle is assigned to the bCursor field of the WNDCLASS structure. Charles Petzold meant to write hCursor, not bCursor (that is: an H instead of a B). In the italics font of the text, they look very similar. "Very simply, the variable name begins with a lowercase letter or letters that denote the data type of the variable." "...the concept of "type" in this context is determined by the set of operations that can be applied to a quantity. The test for type equivalence is simple: could the same set of operations be meaningfully applied to the quantities in questions? If so, the types are thought to be the same. If there are operations that apply to a quantity in exclusion of others, the type of the quantity is different." For example, you may have two variables of type int. One could be the x-coordinate of a pixel in a bitmap, and the other could store the length of a string. According to Charles Petzold's model, Systems Hungarian Notation, you would prefix both variables with i, because they are both of the same data type, int. However, in proper Apps Hungarian Notation, as meant by Charles Simonyi, the variable names would be prefixed by their 'type', perhaps x for the x-coordinate, and cch, meaning count of characters, for the string length. In Apps Hungarian Notation, you can easily distinguish that these two variables have no business being in the same expression together, as they are not of the same 'type'. I highly recommend reading Joel's essays, as they provide a great explanation of Charles Simonyi's original idea, Apps Hungarian Notation. With examples, he explains why it works so well and why the infamous Systems Hungarian Notation, as explained by Charles Petzold, isn't as good. As Charles Petzold is one of only seven people to win the Windows Pioneer Award, for his contribution to the success of Windows, he is largely responsible for disseminating Systems Hungarian Notation outside of Microsoft. Although, it should be noted that Charles Petzold explained this notation because it is what the Windows programmers used. It is very convenient to know the notation used by the WIndows programmers when attempting to understand Windows API functions and structures, which Charles Petzold delves into often. This is somewhat misleading. Perhaps saying "If you will be immediately calling other functions..." is clearer. This is not ok. The first comment should say "Get all the horizontal scroll bar information", and the GetScrollInfo() call should be before the second comment. Please note that the above typo also occurs in both future versions of the program in SYSMETS4.C on pages 227 - 228, Chapter 6, and in SYSMETS.C on pages 321 - 322, Chapter 7. On page 118, Chapter 4, The New SYSMETS, the text mentions using "SB_SLOWMACHINE". This should be "SM_SLOWMACHINE". On pages 114 - 116, Chapter 4, The New SYSMETS, in the SYSMETS3.C program, the vertical scroll bar is handled differently than the horizontal scroll bar. Firstly, the vertical scroll bar processes the scroll bar value SB_THUMBTRACK, which is sent repeatedly until the user releases the mouse button. The horizontal scroll bar processes only the SB_THUMBPOSITION scroll bar value, which is sent when the user has dragged the scroll box (thumb) and released the mouse button. So, the vertical scroll bar continually updates the window as the user moves it, and horizontal scroll bar only updates the window after the user stops moving it. Resize the window so that both scroll bars appear, and you can see for yourself. Charles Petzold must not have processed the SB_THUMBTRACK for the horizontal scroll bar to show off the differences between the two, as both messages contain the same information in their messages (i.e. The high-order word of wParam indicates the position of the scroll box), you can actually use the same processing code for both. Simply changing SB_THUMBPOSITION to SB_THUMBTRACK 'fixes' the horizontal scroll bar so that it responds immediately to scroll bar movements. Secondly, during the update of the window, the vertical scroll bar calls ScrollWindow() and UpdateWindow(). The horizontal scroll bar only calls ScrollWindow(). The reason is that the vertical scroll bar continually updates, whereas the horizontal scroll bar does not. If UpdateWindow() was not called, on a slow machine, you could have a potential situation where the window's contents are being scrolled as the user moves the mouse, but the invalid area is not updated until the user stops moving the mouse. This is due to the fact that WM_PAINT is a low priority message. An UpdateWindow() call makes it the absolute highest priority message for just that one call, by sending a WM_PAINT message directly to the window procedure, bypassing the application's message queue. This UpdateWindow() call is not required for the horizontal scroll bar processing, as it only handles the SB_THUMBPOSITION scroll bar value, and therefore, the display is only update once - not continuously. Please note that the above code differences also exist in both future versions of the program in SYSMETS4.C on pages 227 - 229, Chapter 6, and in SYSMETS.C on pages 321 - 323, Chapter 7. On page 136, Chapter 5, The Size of the Device, Figure 5-4 has two typos. tmExternalLeading should be changed to tmInternalLeading, and in the caption, FONTMETRIC should be changed to TEXTMETRIC. Even though the Windows GPI includes SetPixel and GetPixel functions, they are not commonly used. Even though the Windows GDI includes SetPixel and GetPixel functions, they are not commonly used. I believe this, as opposed to API (Application Programming Interface) suggested by John Kopplin, as the previous two paragraphs were just speaking about the Windows GDI (Graphics Device Interface) and the SetPixel() and GetPixel() functions. The R2_NOT drawing mode always inverts the destination color to determine the color of the line, regardless of the color of the pen. For example, a line drawn on a cyan destination will appear as magenta. The R2_NOT drawing mode always inverts the destination color to determine the color of the line, regardless of the color of the pen. For example, a line drawn on a cyan destination will appear as red. On page 137, Chapter 5, The Size of the Device, in the third last paragraph, Petzold mentions that a 17-inch monitor would have an actual display size of about 12 inches by 9 inches. However, those are the values for a viewable diagonal of 15 inches. The viewable size of 17-inch monitor is normally close to 16 inches. This would make the actual display size about 12.8 inches by 9.6 inches, which would round to 13 inches by 10 inches. The figures he creates are used only for a quick approximation. Therefore, I am not sure if he created these figures quickly by guessing that the viewable size of a 17-inch monitor is 15 inches, or that he was thinking of a 15-inch monitor when he did the calculations, and assumed that the viewable size was 15 inches, as well. The fact that he uses the words "the actual display size" indicates that he is well aware of the fact that the viewable size is smaller than the monitor size. In either case, he is slightly wrong, but the numbers are close enough to the real values for him to get his point across. "GetDeviceCaps with the HORZRES and VERTRES indexes return the dimensions of the device in millimeters." "GetDeviceCaps with the HORZSIZE and VERTSIZE indexes return the dimensions of the device in millimeters." On the MSDN GetDeviceCaps function page, it states that HORZSIZE and VERTSIZE return the width and height, in millimeters, of the physical screen. It also states that HORZRES and VERTRES return the width and height, in pixels, of the screen. You can see that Charles Petzold used these parameters correctly in the code preceding the paragraph, he merely referred to the wrong parameters during his explanation. On page 167, Chapter 5, Drawing Modes, in the first column under the horizontal line in the table about all sixteen ROP2 drawing modes, the word 'Results' should be 'Result'. Yes, it's minor, but this keeps in synch with the tables on pages 658 and 660 in Chapter 14. This last paramter is a pointer to a POINT structure that receives the previous origin of the window. If it is NULL, as in all of Petzold's cases, the parameter is not used. On page 187, Chapter 5, The Metric Mapping Modes, the code at the very top of the page references a DptoLP() function. The second letter, 'p', in the function name should be capitalized: DPtoLP(). You can see correct usage of this function on the previous page, page 188. Please note that the above typo also occurs in the prior version of the program in SYSMETS3.C on pages 114 - 115, Chapter 4, and in the final version of the program in SYSMETS.C on pages 321 - 322, Chapter 7. On page 264, Chapter 6, Caret Functions, in the second to last paragraph, the sentence should be changed from DestroyWindow to DestroyCaret. On pages 227 - 229, Chapter 6, Enhancing SYSMETS for the Keyboard, in the SYSMETS4.C program, the vertical scroll bar is handled differently than the horizontal scroll bar. Please note that the above code differences also exist in the prior version of the program in SYSMETS3.C on pages 114 - 116, Chapter 4, and in the final version of the program in SYSMETS.C on pages 321 - 323, Chapter 7. On page 243, Chapter 6, The Foreign-Language Keyboard Problem, in the middle of the second paragraph, a starting parenthesis appears with no closing parenthesis at the end of the paragraph. Please note: This erratum is obviously of no real concern to the reader. It is only included for completeness, in case Charles Petzold reviews this page for corrections to the next version of Programming Windows. On pages 244, Chapter 6, Character Sets and Fonts, in the third last paragraph on the page, the text speaks about bitmap fonts. In one occasion, the text refers to "Bitmaps fonts", which is just a typo for "Bitmap fonts". On page 303, Chapter 7, Child Windows in CHECKER, the top of the page mentions using the SetWindowWord() function, when the program actually uses the SetWindowLong() function. The SetWindowWord() function is obsolete. Please note that the above typo also occurs in both prior version of the program in SYSMETS3.C on pages 114 - 115, Chapter 4, and in SYSMETS4.C on pages 227 - 228, Chapter 6.
the CD but is not shown in the program listings in the book. When you define certain macros, you set a target version of Windows for your application. The compiler will then detect whether your application uses functions that are not supported on its target, by returning error C2065: undeclared identifier for all improper references. The following URL shows a table that indicates which macros you must define to target a particular operating system, and will be of much value for you: MSDN - Using the Windows Headers. Please note the warning after the table which indicates that sometimes you have to target the next major operating system release, if the feature you require was added to a service pack for the version of Windows you wish to target. For example, the WINDOWINFO Structure requires Windows 98, which this table states that WINVER must be set to at least 0x0410. You will find that it does not work unless you target the next major operating system release, Windows Me, which requires WINVER to be set to at least 0x0500. In MSVC++ 6.0, you can specify compiler options by going to the Projects menu, Settings, C/C++ tab. On pages 321 - 323, Chapter 7, The MOUSE WHEEL, in the SYSMETS.C program, the vertical scroll bar is handled differently than the horizontal scroll bar. Please note that the above code differences also exist in both prior version of the program in SYSMETS3.C on pages 114 - 116, Chapter 4, and in SYSMETS4.C on pages 227 - 229, Chapter 6. On page 276, Chapter 7, Client-Area Mouse Messages, on the second to last line of the page, there is a typo. I should note that the code is improper only in the book. The code on the CD that accompanies the book has the parenthesis added. Here's a revealing experiment: First invoke the Display applet from the Control Panel, and select the Effects tab. Make sure the "Show window contents while dragging" button is unchecked. Now try moving or resizing the BEEPER1 window. This causes the program to enter a "modal message loop." Windows prevents anything from interfering with the move or resize operation by trapping all messages through a message loop inside Windows rather than the message loop in your program. Most messages to a program's window that come through this loop are simply discarded, which is why BEEPER1 stops beeping. I know that the book was not written for Windows XP, but I thought I would point out that Windows XP no longer traps messages when moving / resizing a window with the "Show window contents while dragging" button unchecked. The DrawHands function draws the hour, minute, and second hands of the clock. The coordinates defining the outlines of the hands (as they appear when pointing straight up) are stored in an array of POINT structures. Depending upon the time, these coordinates are rotated using the RotatePoint function and are displayed with the Windows Polyline function. Notice that the hour and minute hands are displayed only if the bChange parameter to DrawHands is TRUE. When the program updates the clock hands, in most cases the hour and minute hands will not need to be redrawn. However, there is no bChange variable in DrawHands. The variable is fChange. This line of code plots a black pixel to be displayed after reading the pixel's color. I would assume that this code was only used during the debugging or testing phases of the program, and is unnecessary. In fact, it is unwanted, as it writes to the display or on top of other windows which is does not own. Merely remove this line for the program to operate properly. This line only exists in the text book source code; it does not exist in the program samples that accompany the text book. Although the CHECKER1 and CHECKER2 versions of this program use only one main window, the CHECKER3 version uses a child window for each rectangle. The rectangles are maintained by a separate window procedure named ChildProc. However, the window procedure for the CHECKER3 program is called ChildWndProc. For the Width and Height parameter, it shows xChar and yChar. They should be cxChar and cyChar as used in the x position and y position parameters. COLORS1 creates its normal overlapped window and the 10 child windows within the WinMain function using CreateWindow. This is not true. The main normal overlapped window is created from WinMain(), as normal. The 10 child windows are created in the WndProc() function from within the WM_CREATE message. It is true that all are created with the CreateWindow() function, however. When the WndProc window procedure receives a WM_VSCROLL message, the high word of the lParam parameter is the handle to the child window. "hwndScrollBar = (HWND) lParam; // handle to scroll bar"
"i = GetWindowLong ((HWND) lParam, GWL_ID) ;"
Just as we were able to get and set the scroll bar window procedure using GetWindowLong and SetWindowLong, we can get and set the handle to this brush using GetClassWord and SetClassWord. GetClassWord() and SetClassWord() are obsolete. The text should state GetClassLong() and SetClassLong(), as in the example that follows this text, as well as the code for COLORS1.C. For a multiline edit control, text wordwraps unless you use the ES_AUTOHSCROLL style, in which case you must press the ENTER key to start a new line. This implies that wordwrapping is turned 'off' by including the ES_AUTOHSCROLL style, I am not sure if this is the case for Win98 or WinNT, but for my Windows XP system, wordwrapping is not dependant solely on the ES_AUTOHSCROLL style. It is also turned 'off' by including the WS_HSCROLL window style. EN_SETFOCUS Edit control has gained the input focus. EN_KILLFOCUS Edit control has lost the input focus. EN_CHANGE Edit control's contents will change. EN_UPDATE Edit control's contents have changed. EN_ERRSPACE Edit control has run out of space. EN_MAXTEXT Edit control has run out of space on insertion. EN_HSCROLL Edit control's horizontal scroll bar has been clicked. EN_VSCROLL Edit control's vertical scroll bar has been clicked. EN_CHANGE Unlike the EN_UPDATE notification message, this notification message is sent after the system updates the screen. EN_UPDATE The EN_UPDATE notification message is sent when an edit control is about to display altered text. This notification message is sent after the control has formatted the text, but before it displays the text. Even if a person were to take the meaning of the text's words "control's contents" as the actual displaying of characters (which is, perhaps, what Charles Petzold meant), the messages are explained backwards. EN_UPDATE is sent before the display is changed (allowing the program to modify the size of the control before it happens), and EN_CHANGE is sent after the display is changed. Note that the third parameter to SetWindowLong() is supposed to be a LONG value, but in the program it is type cast into an LPARAM value. The code compiles, since LPARAM is compatible with LONG, but it is not the proper type. "What would message be set to? Well, anything you want, really, as long as the numeric value is set to WM_USER or above. These numbers represent a range of messages that do not conflict with the predefined WM_ messages." "Message numbers in the second range (WM_USER through 0x7FFF) can be defined and used by an application to send messages within a private window class. These values cannot be used to define messages that are meaningful throughout an application, because some predefined window classes already define values in this range. For example, predefined control classes such as BUTTON, EDIT, LISTBOX, and COMBOBOX may use these values. Messages in this range should not be sent to other applications unless the applications have been designed to exchange messages and to attach the same meaning to the message numbers. Message numbers in the third range (WM_APP through 0xBFFF) are available for application to use as private messages. Message in this range do not conflict with system messages." For example, the IsDialogMessage() Function can send the DM_GETDEFID and DM_SETDEFID messages to the window, which are defined as WM_USER and WM_USER+1 in the winuser.h header file. Therefore, I would suggest using WM_APP+n instead of WM_USER+n in the creation of your own message values. I also suggest reading an article by Joseph M. Newcomer on Message Management, which explains his thoughts about managing user defined messages, and an article on Raymond Chen's blog, The Old New Thing, Which message numbers belong to whom?, which explains in detail the differences between all four types of Windows message numbers. "The wParam parameter is set to 1 to create a check mark and to 0 to remove it." BST_CHECKED is defined as 1, which sets the button state to checked. BST_UNCHECKED is defined as 0, which sets the button state to cleared. BST_INDETERMINATE is defined as 2, which sets the button state to grayed, indicating an indeterminate state. (This is only used for buttons with the BS_3STATE or BS_AUTO3STATE style). On page 415, Chapter 9, HEAD.C, the ListProc() function exists as our own window procedure for the list box control. This is known as windows subclassing, first explained on page 393, Chapter 9, Windows Subclassing. This windows procedure is run first, to handle additional functionality desired (in this case, we wish for the ENTER key press to signal a double click on the current selection). Our windows procedure call the original windows procedure to handle all of the pre-programmed functionality of the window. The problem is in the MAKELONG Macro. It combines two WORDs to create a LONG. The first parameter is the low-order WORD, the second is the high-order WORD. The LONG we are creating is the WPARAM parameter for the WM_COMMAND Notification we are sending to the list box window to simulate a double click. WM_COMMAND expects its WPARAM parameter to have the notification code stored in the high-order WORD, and the identifier of the control in the low-order WORD. The high-order WORD is correct, as it equals LBN_DBLCLK, which is the proper notification code for a double click. The low-order WORD is incorrect, although it contains the proper numeric constant. It should be the identifier of the control, which is ID_LIST, defined at the top of the program on page 411, which is passed to the CreateWindow() function on page 413 to create the list box. If this definition were to ever change, then the window subclassing would not work. Change ID_LIST to anything other than 1, and you will see our subclassed windows procedure fail. Although the program, as is, still works, it is still a bug. Why? Because the code does not maintain the usage of this value automatically throughout itself, which is the purpose of the definition to begin with. The definition also helps ensure the code is readable, to yourself and others. Now you can change ID_LIST to any value you want, except, of course, the value of the other child windows in its parent. In this case, set it to anything other than what ID_TEXT is set to, and the windows subclassing will still work as expected, unlike before. On page 385, Chapter 9, in the COLORS1.C program, and on page 411, Chapter 9, in the HEAD.C program, the programs use windows subclassing. However, the code does not remove the subclass when the window terminates. As explain in Raymond Chen's blog: "One gotcha that isn't explained clearly in the documentation is that you must remove your window subclass before the window being subclassed is destroyed." Because the code in these programs have nothing to clean up, they are technically ok. However, if the subclass allocated memory or did something else which had to be cleaned up before termination, then they would be improper. It is best to explicitly clean up all subclassed windows to ensure proper code. Note the available functions at your disposal mentioned in Raymond Chen's article, which are explained on the MSDN article, Subclassing Controls. The problem also exists on page 1336, Chapter 22, in the WAKEUP.C program. On page 407, Chapter 9, A Simple List Box Application, in the ENVIRON.C program, the FillListBox function has a logic error. The function uses the GetEnvironmentStrings function to receive a pointer to the environment block, and the FreeEnvironmentStrings function to free this block. As you can see within the code, the function stores the results of GetEnvironmentStrings into pVarBlock, and then later passes this variable to FreeEnvironmentStrings. The problem is, is that pVarBlock is modified in the meantime. If you were to check the return value for FreeEnvironmentStrings, you will see it is 0, indicating an error. Calling GetLastError will show the error code 87 (ERROR_INVALID_PARAMETER). As with icons, cursors, and menus, you can use a number for the accelerator table name and then use that number in the LoadAccelerators statement with the MAKEINTRESOURCE macro or enclosed in quotation marks and preceded by a # character. Windows recognizes the initial # character as prefacing a number in ASCII form. lParam is a HWND, which is the handle of the control (which can be NULL, if it is not a control), which we have already tested to make sure we are processing a control. wParam's HIWORD is the notification code, and its LOWORD is the control id, which is what should be tested against ID_EDIT. Without this fix, the code compiles and runs fine, with the exception that the message box for an 'out of space' error is not displayed if the edit control is filled. For items in popup menus, you can use the columnar tab character \t in the character string. Text following the \t is placed in a new column spaced far enough to the right to accommodate the longest text string in the first column of the popup. We'll see how this works when we look at keyboard accelerators toward the end of this chapter. A \a in the character string right-justifies the text that follows it. Some clarification is needed: The \a does not merely right-justify text that follows it, it also acts as a tab character to move text the follows it into a new column. Also, the \a character does not work with the \t tab character at the same time (whether it is in the same menu item, or even in a different menu item in the same menu). They are to be used mutually exclusive of each other, in the same menu, as they both refer to two different tab columns. On page 471, Chapter 10, The Accelerator Table, the text fails to method the possibility of using the /a character, which acts as a tab character as well, except the text is right-justified. Please note that you cannot use both the /a and /t characters within the same menu (even for different menu items), as they both refer to two different tab positions. The WM_DEL message does not exist. It should be WM_CLEAR. On page 434, Chapter 10, Custom Resources, in the POEPOEM.C program, there is a mistake with the WM_VSCROLL message. On page 435, Chapter 10, Custom Resources, in the POEPOEM.C program, there is a mistake with the WM_VSCROLL message, where it handles the SB_THUMBPOSITION scroll bar value. "The hwnd parameter in TranslateMessage looks a little out of place because it's not required in the other three functions in the message loop." "The hwnd parameter in TranslateAccelerator looks a little out of place because it's not required in the other three functions in the message loop." The TranslateMessage does not have a hwnd parameter, and the other three functions that do no have a hwnd parameter that the text refers to are GetMessage, TranslateMessage and DispatchMessage. TranslateAccelerator is the only function out of the four mentioned in the code example on page 471, that the text is speaking about, that has a hwnd parameter. On page 428, Chapter 10, Using Customized Cursors, the text explains that the SetClassLong function (since superseded by the SetClassLongPtr function) can be used to allow the cursor to appear differently over a window. However, the text fails to mention the implications of the fact that this function changes the window class of the window handle passed in. Changing the window's class affects all windows created with this class, not just the window whose handle you passed in. If you wish to affect only one particular window, such as making a static control into a hypertext link (clickable URL) in which the cursor looks like a hand when it passes over it, then you should use the SetCursor function in response to the WM_MOUSEMOVE notification of that window. This can only be done with Window Subclassing (explained in Chapter 9, page 393), which affects only the particular window whose behaviour you wish to modify. "If an application processes this message, it should return TRUE to halt further processing or FALSE to continue." On page 456, Chapter 10, Floating Popup Menus, in the POPMENU.C program, the WM_DESTROY handler is missing some code for proper clean up. On page 455, the LoadMenu() function is called within the WM_CREATE handler. But this menu is never destroyed with DestroyMenu() in the WM_DESTROY handler. "Before closing, an application must use the DestroyMenu function to destroy a menu not assigned to a window. A menu that is assigned to a window is automatically destroyed when the application closes." I believe it means that the menu is automatically destroyed when the window is destroyed. Also, I believe what is meant by 'assigned to a window' is when a menu is passed into the CreateWindow() function with the hMenu parameter, which identifies the menu to be used with the window. Note that the hMenu parameter can be NULL, which indicates that the class menu will be used. Either way, a menu is 'attached' to the window, and will be automatically destroyed when the window is destroyed. The right mouse button was clicked and released. The context menu key was pressed on the keyboard. "The WM_CONTEXTMENU message notifies a window that the user clicked the right mouse button (right-clicked) in the window." The MSDN documentation is wrong! The WM_CONTEXTMENU message actually notifies a window that the user desires a context menu to appear (which could happen in any of the above mentioned ways). Note that the call to ClientToScreen() is no longer needed to convert the coordinates from the lParam parameter, since WM_CONTEXTMENU returns the coordinates in screen coordinates already. We do, however, use it to convert the client area coordinates (0,0) into screen coordinates within the if-statement whose purpose is explained below. WM_CONTEXTMENU returns (-1,-1) for the (x,y) coordinates if the context menu was created from the keyboard, as there was no mouse click. The LOWORD and HIWORD macros return a WORD type, which is an unsigned short, which isn't good, since it doesn't allow storage of negative screen coordinates that could occur on multiple monitor systems, and it makes it complicated to test them against (-1,-1). Therefore, I replaced these with new macros that were made specifically for extracting coordinate data from the lParam parameter: GET_X_LPARAM and GET_Y_LPARAM. These return the proper signed values. "If the context menu is generated from the keyboard — for example, if the user types SHIFT+F10 — then the x- and y-coordinates are -1 and the application should display the context menu at the location of the current selection rather than at (xPos, yPos)." Since we do not have a selection, I chose to use the the upper-left corner of the client area, which is (0,0) in client area coordinates. I use the ClientToScreen() function to convert this into the needed screen coordinates. Note that it is a bad idea to use the current position of the mouse, since the mouse could be positioned over another window, and it would appear as though the context menu is owned by the incorrect window..
"The iSelection value is set to the value of wParam, and the new background color is checked:"
"The iSelection value is set to the low-order word of wParam, and the new background color is checked:"
On page 480, Chapter 10, Enabling Menu Items, the page shows two code statements that are used in the POPPAD2.C program, but the identifiers for each message defined in RESOURCE.H (and used in poppad2.c) differ from the ones shown here. You can see this proper name on page 503, in the ABOUT2.RC file. Note that the second parameter (the second id in the statement) in the SendMessage() example is incorrect. It should be iMsg. However, the control id is not IDD_PAINT. It is IDC_PAINT. just as it is in the source code of ABOUT3.C. On page 523, Chapter 11, Differences Between Modal and Modeless Dialog Boxes, the text explains how to end a modeless dialog box with DestroyWindow(). However, it fails to mention that the parent window will destroy it when it ends, even though this is the method you use for termination with COLORS2.C, and it is implied by the explanation of COLORS2.C's message loop on pages 528 - 529. I think it would be clearer if the text explained that the dialog box is destroyed at the end of the program, even if you do not destroy it yourself. On page 538, Chapter 11, The Common Dialog Boxes, the last paragraph states a reference to: /Platform SDK/User Interface Services/User Input/Common Dialog Box Library. However, it is not italicized, like the rest of the references to the MSDN Library. Thus, for this particular dialog box, the upper left corner of the dialog box is 5 characters from the left edge of the main window's client area and 2-1/2 characters from the top edge. The dialog itself is 40 characters wide and 10 characters high. Thus, for this particular dialog box, the upper left corner of the dialog box is 8 characters from the left edge of the main window's client area and 4 characters from the top edge. The dialog itself is 45 characters wide and 12-1/2 characters high. As explained at the start of the same paragraph in the text: "The numbers are based on the size of the font used for the dialog box (in this case, an 8-point MS Sans Serif font): x-coordinates and width are expressed in units of 1/4 of an average character width; y-coordinates and height are expressed in units of 1/8 of the character height." The first two coordinates (32, 32) are the location of top-left corner of the dialog box in respect to the window's client area's top-left corner. The x coordinate is 32 units from the edge. With a unit equaling 1/4 of an average character width, it is 32 * 1/4 = 8 characters from the edge. Likewise, the y coordinate is 32 units from the edge. With a unit equaling 1/8 of an average character width, it is 32 * 1/8 = 4 characters from the edge. 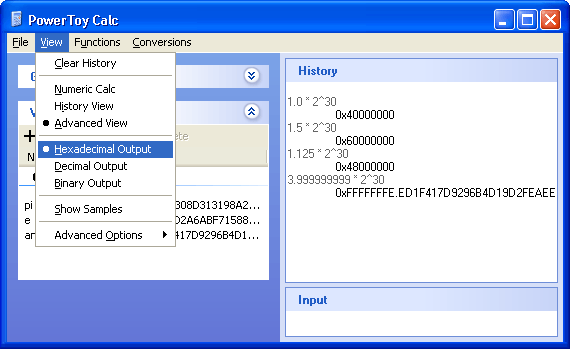 The next two coordinates (180, 100) specify the size of the dialog box. The width coordinate is 180 units. With a unit equaling 1/4 of an average character width, it is 180 * 1/4 = 45 characters wide. Likewise, the height coordinate is 100 units. With a unit equaling 1/8 of an average character width, it is 100 * 1/8 = 12-1/2 characters high. This is consistent with the styles used in the code. On page 564, Chapter 11, Search and Replace, the first paragraph makes a reference to POPFIND.C in Figure 10-11. This should be Figure 11-11. On page 562, Chapter 11, POPPAD Revisited, the book introduces the OPENFILENAME Structure. It explains that the program POPPAD.C sets the hwndOwner field of the structure to be the window who owns the dialog box to be made. However, neither Charles Petzold nor MSDN states what potential problems may occur if you set this field to be NULL. NULL indicates that the dialog box has no owner. If the dialog box has no owner, it acts like a modeless dialog box, rather than a modal dialog box. This has the unfortunate side effect that the user can interact with the program's main window just as if the dialog box did not exist. A user could even request the application to shut down while the dialog box is still open. It is therefore a good idea to always give a File Open or File Save dialog box an owner. NULL is defined as 0. It is the value of a pointer that points to nothing. Therefore, comparing a handle to 0 or NULL is the same thing; you are asking whether or not the handle points to an object that exists or not. The Logical-NOT operator (! ), when applied to a pointer whose value is 0 (equivalent to false), will return true. If applied to a pointer whose value is not equal to 0 (equivalent to true), it will return false. Therefore, this is identical to merely comparing the pointer to NULL or 0. I have not included an erratum for each of these cases in this list, because the original code is not wrong. This erratum merely explains, what the MSDN team believes to be, a nicer solution. As you can see, even if you do not use the IsWindow() function, there are at least three methods that Charles Petzold himself uses to accomplish the same task. It is really personal preference, although it is desirable to have some consistency in your code. Also, the IsWindow() may be much clearer to some, especially to other programmers that may read your code. "You might recall from Chapter 9 that checking and unchecking a button requires that you send the child window control a BM_CHECK message." There is no BM_CHECK message. The actual message name is BM_SETCHECK, as explained in Chapter 9, on pages 366 to 369. "(It) posts the BN_CLICKED notification message to the dialog box, specifying IDCANCEL as the control identifier. If the dialog box has an IDCANCEL control identifier and the control is currently disabled, the procedure sounds a warning and does not post the message." This basically states that if you let the dialog box procedure handle the WM_CLOSE message itself, the default action is to simulate a button press of the 'Cancel' button (which has the IDCANCEL control identifier by default when designing a dialog box in the resource editor). Likely, the processing of the 'Cancel' button press, which you must code, destroys the dialog box. The first paragraph of text on the Dialog Box Programming Considerations MSDN page states: "a dialog box procedure ... returns TRUE if it processes a message or FALSE if it does not." However, this is not exactly true, although you should abide by it. Whether you return TRUE or FALSE indicates whether the default processing of the message will be carried out. If you do not process the message, you obviously wish for the default processing to be executed, so you return FALSE. However, if you do process the message, you may or may not want the default processing to occur. It is highly likely that if you process the message, you do not want the default processing to occur, and thus you return TRUE. There is little reason to allow the default processing to occur if you are doing your own processing; this is why the text states what it does. Getting back to the code sample from the book, you will notice it takes charge and destroys the window on its own. However, because it calls the break statement, instead of returning TRUE, the switch statement control ends. This ends up returning FALSE. Why? Because all messages that are not handled by the switch statement are not processed, and you have to let the dialog box procedure do its default handling for these messages. You do that by returning FALSE for any message that passed through the switch statement. Because the example WM_CLOSE handler decides to break out of the switch statement, it is subjected to the same result - returning FALSE, which means the default processing will be carried out. This does not make much sense, since the default processing simulates a press of the 'Cancel' button (or, more specifically, the button whose control identifier is IDCANCEL). Since the 'Cancel' button handler, if it exists in the code that this example may be used in, will handle the destruction of the dialog box, it makes little sense for the WM_CLOSE handler to do it. On the other hand, if there is no 'Cancel' button, then why would you want the WM_CLOSE handler to tell the dialog box procedure to attempt to press it? "The programmer indicates that a menu item invokes a dialog box by adding an ellipsis (...) to the menu item." "Use an ellipsis if the command requires additional information before it can be performed. Sometimes the dialog box is the command itself, such as "About" or "Properties". Even though they display a dialog, the dialog is the result, as opposed to commands like "Print" where the dialog is collecting additional information prior to the result." "When a program invokes a dialog box based on a template, Microsoft Windows 98 is responsible for..."
However, this is true for all versions of Windows, not just Windows 98. Therefore, it should have simply stated "...Windows is responsible for...". "Similarly, if the file is a non-Unicode text file but the Unicode version of the program is running, the text must be converted using MultiCharToWideChar." However, there is no MultiCharToWideChar function. It should be MultiByteToWideChar. On page 518, Chapter 10, Defining Your Own Controls, the file ABOUT3.C uses the icon name "icon1.ico". However, the first two programs used �about1.ico� and �about2.ico�, so following suit, it should be �about3.ico�. On page 518, the icon image itself is shown, and Petzold calls it �ABOUT3.ICO�. The icon filename on the source CD that accompanies the book is called �icon1.ico�. If it was named differently, the program would not compile. So, if you change the above to be "about3.ico", and you are using the icon file from the source CD, you will need to rename it to �about3.ico�, as well. Please note that the filename is arbitrary. As long as the name in the .RC file matches the actual the filename, all is well. You can see this same formula used at the bottom of page 497. On page 496, it says to refer to chapter 9 where the sizes specified in dialog box templates are 1/4 and 1/8 of the average character width and height respectively, which explains these formulas. "We�ve seen that transferring text from the clipboard requires four calls after the data has been prepared:"
"We�ve seen that transferring text to the clipboard requires four calls after the data has been prepared:"
It is referring to the section that starts on page 572, which explains how to transfer text to the clipboard. The code compiles with either, as both HGLOBAL and GLOBALHANDLE are typedef'ed as HANDLE, but it would make more sense to maintain consistency with the source code sample in the text, the source code of the example program, and the MSDN library. The wLength variable should be iLength, as mentioned in the first paragraph of this section. On page 605, Chapter 13, The Revised DEVCAPS Program, the program DEVCAPS2.C is used to display device capability information for the screen and any printers hooked up to the system. The first menu, "Device", selects the device, and the second menu, "Capabilities", selects what capabilities to display. The currently selected capability for this menu is checked. However, at the start of the program, none of the menu items within that menu are checked (even though the first one is activated by default). The program should check the first menu item on start up. This will set this menu item to be checked at program start up. The code retrieves the handle to the menu assigned to hwnd with the GetMenu() function, and uses this as a parameter into the CheckMenuItem() function to set the state of menu item nCurrentInfo check mark attribute to checked. In WM_SYSCOMMAND messages, the four low-order bits of the wParam parameter are used internally by the system. To obtain the correct result when testing the value of wParam, an application must combine the value 0xFFF0 with the wParam value by using the bitwise AND operator. On page 638, Chapter 13, Adding Printing to POPPAD, the text mentions SetAbortDoc in the first symbol in the flow chart diagram. I can find no reference to a function of this name anywhere, except as one of the required printer driver functions, which are called by Windows GDI that all Windows printers must support. I think Charles Petzold meant to write SetAbortProc. On page 603, Chapter 13, The Printer Device Context, the word 'job' near the end of the first paragraph should be 'call'. In each of these cases, the variable should be called iNonColCopy, as mentioned on page 638, in the fourth paragraph. iColCopy is the variable for collated copies, and iNonColCopy is the variable for non-collated copies. Notice that both code sections exercise the same logic, but merely use two different structures. The bug is not caused by the structure use, so the bug is repeated in both code sections. In each code section, the function uses the same logic by making two calls to the EnumPrinters() function. The first call passes EnumPrinters() a buffer size of 0 in which to store its information, which causes it to return a value in dwNeeded that indicates how much memory is required for its buffer. In the 'Windows 98' section, this will be a multiple of the size of the PRINTER_INFO_5 structure. In the 'Windows NT' section, this will be a multiple of the size of the PRINTER_INFO_4 structure. Once this value is known, we can dynamically allocate a block of memory this size, and then re-call the function with this new memory block. The second call to EnumPrinters() passes a buffer size of dwNeeded (the size the first call requested to have), and the location of this buffer. This call will fill this memory block with printer information. The dwReturned will store the number of structures stored in the buffer (essentially, the number of printers we enumerated). So, where is the bug? The problem appears when there are no printers installed. The CreateDC() call will fail when passed a member variable dereferenced from a pointer that points to a block of memory zero bytes in size. It will attempt to access memory that it does not have the right to access. We know when there are 0 printers, because dwReturned will return a value of 0, indicating that there are no structures in the allocated memory block. We could merely check to see if this is 0, and set hdc to NULL instead of setting it to the return value of CreateDC() (we cannot merely quit the function by returning NULL, as we still have to clean up our allocated memory). This will cause GetPrinterDC() to return NULL when there are no printers, which all of the programs that call GetPrinterDC() (FORMFEED.C, PRINT1.C, PRINT2.C, and PRINT3.C) handle correctly. if (dwNeeded == 0) return(NULL); // return NULL if there are no printers. You will notice that we can quit the function immediately, as there are no memory allocations we need to clean up at this point. To display 256 colors, the original VGA had to be switched into a 320 by 240 graphics mode, which is an inadequate number of pixels for Windows to work properly. However, the original VGA only documented mode 13h, which is a 320 by 200, 256 colors, 70 Hz video mode. The 320 x 240, 256 colors, 60 Hz video mode is an uncommon, undocumented, tweaked video mode that is normally referred to as Mode-X (other tweaked video modes are also referred to as Mode-X, as well as Mode-Y and Mode-Q). The BITBLT and STRETCH programs simply copy the source bitmap to the destination, perhaps stretching it in the process. This is the result of specifying SRCCOPY as the last argument to the BitBlt and StretchBlt functions. In the source code for Programming Windows, 5th Edition, under the \Chap14\Bounce directory, there is a BOUNCE.CPP file that is empty (0 bytes). I know that all of the code is made in C, so there should not be any .CPP files. Perhaps this was a file created by mistake, and simply was not deleted. I recommended including windowsx.h, and using the GET_X_LPARAM and GET_Y_LPARAM macros. Do not forget the extra closing parenthesis at the end. "If you're writing applications specifically for Windows NT, you can use the MaskBlt function to do something similar to the MASKBIT program with fewer function calls." However, the program Charles Petzold is referring to is his BITMASK program. The code for this program commences on page 702. On page 699, Chapter 14, Using Bitmaps in Menus, the majority of the page and a bit of the next explains the code in the StretchBitmap function in the GRAFMENU.C program on page 693. However, the explanation code is inconsistent with the program code. On page 693, the StretchBitmap function in the GRAFMENU.C program code uses two variables cxChar and cyChar. They are initialized with the return values of the GetDialogBaseUnits() Function. This function returns the average width and height of characters in the system font. You can see these two variables values being used inside a formula to set bm2.bmWidth and bm2.bmHeight. On page 699, cxChar and cyChar are not used. Instead, a variable called tm of type TEXTMETRIC is initialized with the return value of the GetTextMetrics function. This gets the average character width and the height of characters of the currently selected font of the device context passed to it (in this case, hdc). These two values are used in the same formula as cxChar and cyChar were. So, both code sections are correct. They are just inconsistent. On page 700, Chapter 14, Using Bitmaps in Menus, almost the entire page explains the inner workings of GRAFMENU.C's CreateMyMenu() function. You will noticed that the AppendMenu() Function is used 3 times. In all 3 cases, the 3rd parameter is hMenuPopup. In the CreateMyMenu() function, hMenuPopup is type cast into an int, but in the code on page 700, it is not type cast into an int. This is not an issue, since this book was written for C. The C programming language will cast the parameter to the proper value implicitly. Regarding the issue of type casting, you should be aware of the C++ typecasting issues and 64-bit portability issues elsewhere in this errata list. On page 701, Chapter 14, Using Bitmaps in Menus, the second and fourth lines of code uses the variable hBitmapHelp. This portion of the text is covering the code in GRAFMENU.C's AddHelpToSys() function, on page 692. This function uses the variable name hBitmap, without the 'Help' postfix. Of course, both sections of code are correct. As long as you use the same variable name throughout, the code will work. But, since the text is explaining the program's code, it should be consistent with it. On page 735, Chapter 15, DIB Compression, the sentence before the table states BI_RGB8. This should be BI_RLE8. On page 741, Chapter 15, Version 4 Header, the second to last paragraph mentions BITMAPV5HEADER. However, this version of the header is not explained until page 744. It should be BITMAPV4HEADER. On page 742, Chapter 15, The Version 4 Header, at the bottom, the text refers to the bV4CSType field of the BITMAPV5HEADER structure. This should be BITMAPV4HEADER. On page 745, Chapter 15, The Version 5 Header, the first paragraph mentions that the website of International Color Consortium (founded by Adobe, Agfa, Apple, Kodak, Microsoft, Silicon Graphics, Sun Microsystems, and others) is http://www.icc.org. However, this website now belongs to the Internet Chamber of Commerce. The International Color Consortium website is now http://www.color.org/. On page 745, Chapter 15, The Version 5 Header, the last paragraph shows a URL which is no longer valid: http://www.color.org/contrib/sRGB.html. Information regarding sRGB can be found at the following website: http://www.srgb.com/srgb.html. Since this program is not intended for screen captures (it is for showing how to display DIBs properly), this comment is in error. On page 725, Chapter 15, The OS/2-Style DIB, the definition of the BITMAPFILEHEADER struct refers to the final member as .bfOffsetBits but its name is actually .bfOffBits. The logic in the first two SendMessage() calls has a flaw. An application sends an EM_SETSEL Message to select a range of characters in an edit control. If start range is �1, any current selection is removed. The caret is placed at the end of the selection indicated by the greater of the two range values. Therefore, Charles Petzold's code deselects any currently selected text, in preparation for the EM_REPLACESEL message. However, he assumed that this means the caret will be placed at the end of the edit control after any selection is deselected, since he specified -1 as the ending position, which normally specifies the last character in the edit control. However, this meaning does not get translated into meaning the ending position for the caret. The greater of the two ranges is -1, which is invalid, and is thus, ignored. The caret remains where it is located. Therefore, the inserted text is where you last placed the caret. If you have not moved it, it remains at the end where it should be, and there appears to be no error. The EM_REPLACESEL Message replaces the current selection in an edit control with the specified text. If there is no current selection, the replacement text is inserted at the current location of the caret. Therefore, the caret must be at the end of the edit control before this is called. The prior SendMessage() did not take care of this. The WM_GETTEXTLENGTH Message determines the length, in characters, of the text associated with the edit control (alternatively, you could call the GetWindowTextLength() function, which in turn sends a WM_GETTEXTLENGTH message). The following SendMessage() command selects one character past the last character of the edit control, so when EM_REPLACESEL is sent, it replaces this character, which is not a character in the edit control. On page 817, Chapter 15, The DIB Section, in the third bullet item the phrase "during the BitBlt to StretchBlt call" should be "during the BitBlt or StretchBlt call". "// Display additional BITMAPV4HEADER fields"
"// Display additional BITMAPV5HEADER fields"
As, the code is showing data from version 5, not 4. "// Save the DIB to memory"
"// Save the DIB to a disk file"
On page 809, Chapter 15, The DIB Section, in the fifth paragraph, it mentions the variable fColorUse twice. However, you can see at the bottom of the previous page that the correct spelling, to be consistent, is fClrUse. However, as you will note in my errata for the DIBHELP.C program in Chapter 16, this method of computing the bitmap's pixed data is OK if the .BMP file is legitimate. However, if it is produced by a number of versions of Adobe Photoshop (6.0 / 6.1 / 7.0 known, for sure), then the method is incorrect. It will compute a value 2 bytes larger than expected, because these .BMP files have 2 extra, useless padding bytes at the end. Please see my errata for the DIBHELP.C program for full information. Please note that in the SEQDISP.C program this variable being a value of 2 larger than expected will not cause a crash, since it is used only to allocate memory. Allocating 2 bytes more memory than necessary will not cause any problems. I would like to credit Hans Dwarshuis for pointing out that this line of code was identical to the line of code causing the problem in the DIBHELP.C program, which provoked me to investigate further. On page 743, Chapter 15, The Version 4 Header, at the top of the page, it explains what the FXPT2DOT30 type, within the CIEXYZ structure, represents. It stores a fixed-point value, where the 2 most significant bits represent the integer part, and the 30 least significant bits represent the fractional part. Petzold correctly shows that the 32-bit hexadecimal value 0x40000000 represents the value 1.0. However, the value 0x4800000 represents the value 1.125, not the value 1.5.
and 1.125 = 1 + 1/8 = 0x40000000 + 0x08000000 = 0x48000000. On pages 821 - 995, Chapter 16 deals extensively with 256 (8 bit) color mode. On Windows XP, this mode is not an option under Display Properties. However, there is a way to make this mode available. Now, run this program, and Windows XP will change into 256 color mode. The problem with this is that Windows XP will only stay in 256 color mode for the duration of this program. As soon as you close it, Windows XP will switch back into the selected color mode in Display Properties. There is a way to work around this. Do so, and this will instruct the operating system to change into the 256 color mode. You will now be in this mode permanently, until you change the Display Properties again. It is evident that Windows XP supports 8 bit color mode, but is attempting to make it obsolete by excluding it from the Color quality list. On page 829, Chapter 16, Displaying Gray Shades, the first paragraph mentions the GRAYS1 program. This should be GRAYS2. rect.left will be set to cxClient, which is the right most edge of the screen. rect.right will be set to some value greater than cxClient, off of the right edge of the screen. Thus, this rectangle is outside of the client area, and is not seen. It is useful for a Windows program to take a look at this color resolution value and behave accordingly. For example, if the color resolution is 18, it makes no sense for a program to attempt to request 128 shades of gray because only 64 discrete shades of gray are possible. Requesting 128 shades of gray will unnecessarily fill the hardware palette table with redundant entries. However, you can get more than 64 shades if you increment red, green and blue at separate times, instead of incrementing them all by one at the same time for each new color. The problem with this is that the colors are not pure grays, and the human eye is very good at noticing such flaws. However, this smoother color palette may be desired. This same technique is also possible with other colors, as well. The following three programs: ALLCOLOR.C on page 862, PIPES.C on page 865, and TUNNEL.C on page 868, all require the PALANIM.C file on page 851. Charles Petzold explains on page 851 that PANANIM.C will contain overhead common to a few palette animation programs in this chapter, but FADER.C on page 860 is the only program (other than the original BOUNCE.C on page 855 that immediately follows PALANIM.C) which states its specific requirement for PALANIM.C. On page 831, Chapter 16, The Palette Messages, the first sentence of the second to last paragraph refers to QM_QUERYNEWPALETTE. This should be WM_QUERYNEWPALETTE. On pages 925 and 926, Chapter 16, The Information Functions, in the DIBHELP.C (first part) program, the comments for DibGetColor() and DibSetColor() are reversed. The program causes the DIBBLE.C program on page 949 to crash due to an invalid page fault on certain 24-bit color bitmaps, particularly when a flip command is followed by another flip command. The crash occurs at the end of the final row when pPixel is only guaranteed to point to an RGBTRIPLE's worth (3 bytes) of memory in our process's address space. But this line of code casts pPixel to a DWORD and then attempts to dereference 4 bytes which is not proper. The program does not crash on all 24-bit color DIBs because, depending upon the bitmap's dimensions, the 4th byte may or may not be within our process's address space. Recall that each row in the DIB is expanded to be a multiple of 4 bytes, if it is not already. In the cases where expansion is needed, we have some extra junk bytes in our process's address space and therefore the program does not crash. In cases where there is no expansion (the 3 bytes we wish to address are the last 3 bytes of the DIB), the next byte may still be within our process's address space simply because the memory that follows it is used by some other variable / structure owned by our process, and thus the program will not crash. This appears to be the case for the first flip command. This is not particularly efficient, but it gets the job done, and shows a possible method to avoid accessing memory that we should not access. This apparently was never implemented in DIBHELP.C. It would have appeared after the DibCopyToDib() function on page 945. This can be observed when you load a bitmap that is larger than the program's client area size (shrink the client area size yourself if you do not have a bitmap large enough), and scroll both scroll bars to their maximum amounts. A zooming program, such as ZoomView, will show a white line (the window's background color) a pixel thick on the bottom and right edges of the image. You can see an instance of the correct method on page 964 in response to the IDM_EDIT_ROTATE and IDM_EDIT_FLIP messages. On page 968, Chapter 16, The DIBBLE Program, in the DIBBLE.C source file, about two-thirds of the way down the page, a similar memory leak occurs in an identical line of code. bmfh.bfSize is the size of the BMP file in bytes. bmfh.bfOffBits is the offset to the bitmap pixel data, from the start of the file, in bytes. Since the bitmap pixel data is the last structure in a BMP file, the line of code calculates the size of this structure with the assumption that all of the information starting at the bmfh.bfOffBits offset is bitmap pixel data. After all, there is no structure that follows it, so this seems like a reasonable assumption - and it is. The BITMAPFILEHEADER is 14 bytes. The BITMAPINFOHEADER is 40 bytes (if this were an OS/2-compatible BMP, this structure would be the BITMAPCOREHEADER structure, which is 12 bytes). There is no color table, as the color data is stored in the bitmap pixel data itself. The bitmap pixel data needs to store 24-bits (3 bytes) per pixel for 512 rows and 512 columns of pixels. Since the size of each row (512 * 3 = 1,536) is divisible by 4, there is no extra padding on each row. There are 512 rows of this size, making a total of 786,432 bytes (1,536 * 512 = 786,432). 14 + 40 + 786,432 = 786,486 bytes; the size of the file. ...it attempts to read 2 bytes more than what it knows can fit into allocated memory, and fails. It returns a value of 0 into dwBytesRead, indicating that it did not read a single byte from the file, and returns an extended error code (which you must use GetLastError() to retrieve) of ERROR_NOACCESS (998), which means, "Invalid access to memory location". Note that we have two cases: one for Windows bitmaps, and one for OS/2 bitmaps. The code in each case is conceptually the same, it just refers to two different structures that pbmi may be pointing to. Therefore, I will explain both pieces of code at the same time. The first step is to create a reference to the BITMAPINFOHEADER (or BITMAPCOREHEADER for an OS/2 bitmap) structure, so we can access its data more easily than continually dereferencing pbmi. The RowLength variable computes the length of each row of bitmap pixel data, using Charles Petzold's formula from the top of page 729, Chapter 15, The DIB Pixel Bits. The total bitmap pixel data size is computed by multiplying the size of each row by the number of rows, and stored into dwBitsSize. Now, when you attempt to load a BMP file saved from Adobe Photoshop 6.0 / 6.1 / 7.0, the size will be computed properly, and the program will not attempt to read 2 more bytes than it should. If anyone has any information regarding why Adobe Photoshop 6.0 / 6.1 / 7.0 saves BMP files with an extra two junk bytes at the end, or has any information on other software packages that save BMPs in an improper way, please contact me at the email address located at the bottom of this page. All the interface knows is that it is a pointer. It doesn't know what it points to. It actually points to a structure. The implementation knows this, and will type cast this handle to a pointer to that type, and then proceed to access its fields. What exactly is the STRICT definition? Allow me to quote MSDN: "When you define the STRICT symbol, you enable features that require more care in declaring and using types. This helps you write more portable code. This extra care will also reduce your debugging time. Enabling STRICT redefines certain data types so that the compiler does not permit assignment from one type to another without an explicit cast. This is especially helpful with Windows code. Errors in passing data types are reported at compile time instead of causing fatal errors at run time." Therefore, each handle you declare with DECLARE_HANDLE points to a unique type. Thus, you cannot accidentally pass a handle to a function desiring a handle to something else. On page 936, Chapter 16, Creating and Converting, in the DIBHELP.C program (third part), the function DibCreate() has a logic error. "DibCreate is probably a more likely function than DibCreateFromInfo to be called from application programs. The first three arguments provide the pixel width and height and the number of bits per pixel. The last argument can be set to 0 for a color table of default size or to a nonzero value to indicate a smaller color table than would otherwise be implied by the bit count." Thus, there are two choices for the cColors parameter. The default is 0, in which the function will compute the proper color table size. Any non-zero value states you are specifying the color table size. It checks only those bitmaps that have 8-bits per color or less! For 16-bit (or larger) color bitmaps, cEntries is not even set! // cColors is non-zero, meaning cColors IS the color table size. // be set to the size implied by the color bit count. Please note: We are not done. Read the next errata for further information about what is wrong with the following line of code that uses the cEntries value. The bug is due to the fact that when cEntries is 0, we store a size into dwInfoSize that is 4 bytes smaller than the BITMAPINFOHEADER structure. Since the function continues on to fill this structure, we'll overrun the allocated memory. pbmci = malloc (sizeof (BITMAPCOREINFO) + 255 * sizeof (RGBTRIPLE)) ; "
But, this code is correct, as he wants a color table sized 256, and the BITMAPCOREINFO structure already has one RGBTRIPLE structure, so we need 255 more. That is, one less than the total number we need. But, BITMAPCOREINFO is for OS/2 style bitmaps. If you continue reading Chapter 15 to page 731, you'll see that, for Windows style bitmaps, it is the BITMAPINFO structure we wish to deal with. And it is the one that already contains one RGBQUAD structure, not the BITMAPINFOHEADER structure. Thus the code on page 936 merely uses the wrong structure. You will note that the first field is a BITMAPINFOHEADER structure. For regular 16-bit, 24-bit, and 32-bit DIBs, there is no color table required, and when you call the CreateDIBSection() function, although it wants a pointer to BITMAPINFO for its second parameter, it is content with getting a pointer to BITMAPINFOHEADER. This is the first field of BITMAPINFO, so it is basically a BITMAPINFO without the color table. So, because DibCreate() on page 935 is creating a BITMAPINFO to be passed to the DibCreateFromInfo() function, which passes it directly into the CreateDIBSection() function, it is OK if we create our BITMAPINFO with just the first field. Thus, a pointer to just a BITMAPINFOHEADERHEADER is the same thing as a pointer to a BITMAPINFO structure without the bmiColors field set. And, either is good enough to be passed to our DibCreateFromInfo() function, and to the CreateDIBSection() function. On page 1012, Chapter 17, The PICKFONT Program, in the PICKFONT.C program, the first statement on the page is a SendMessage() call. This is run after the user selects either menu selection from the Device menu. It is supposed to send a fake message that indicates the 'OK' button was pressed, which causes the handler of the 'OK' button to be run, which starts at the bottom of page 1016. The problem is that the message is not being sent to the proper window. It should be sent to the button's owner, the dialog box, not to the main window, which does not own the 'OK' button. Please note that a similar SendMessage() call exists in the middle of page 1013, but this one properly sends the message to the proper window. "When finish, you call CreateFontIndirect with a pointer to the structure:"
"When finished, you call CreateFontIndirect with a pointer to the structure:"
On page 1030, Chapter 17, The Logical Font Structure, the table on the top of the page mentions the FW_DONTCARE identifier. However, this identifier is indented for the lfWeight field of the LOGFONT structure, as explained on page 1028. The identifier should be FF_DONTCARE for the lfPitchAndFamily field. The asterisk (*) should be removed. Once this is done, you will be declaring the variable szText as an array of TCHAR. It will be initialized and sized to the length of the following string, including the ending NULL character. Removing the square brackets  would also be accepted. In this case, you are declaring the variables szText as a pointer to TCHAR. It will be initialized to point to the string literal that follows it. Including both the asterisk (*) and the square brackets  indicates that you with to declare szText as an array of pointer to TCHAR. "MDI is an application-oriented model. Many new and intermediate users find it difficult to learn to use MDI applications. Therefore, many applications are switching to a document-oriented model. Therefore, you may want to consider other models for your user interface. However, you can use MDI for applications which do not easily fit into an existing model until a more suitable model is introduced." On page 1195, Chapter 19, The Child Document Windows, in the last paragraph of the page, it states which messages DefMDIChildProc should handle, even if your child window procedure does something with them, or not. This information was acquired from the MSDN page on the DefMDIChildProc Function, which also explains DefMDIChildProc's response to handling each message. When the window size is zero, this causes a division by zero (a modulus operation is actually a division operation in which the remainder is returned instead of the quotient). There is also a less subtle bug that is caused by this code. Since the boundaries of a rectangle to be drawn are computed using the window's current size in the modulus operation, the resultant random coordinates will never touch the rightmost column or the bottommost row. This is a result of the fact that the Rectangle() function "excludes the bottom and right edges", as does all of the Windows GDI functions. This ensures that the random coordinates that are chosen for the rectangle include the rightmost column and bottommost row, and also avoids any possibility of passing a zero value into the modulus operation. to store a device context for the entire screen (as if GetDC() were passed NULL) into hdc. Through experimentation on my Windows XP system, this may cause it to draw the border of the rectangle before the thread is terminated (if it gets this far, it does not get a chance to fill it with the current brush - perhaps because the brush has been deleted by this point). This leaves the remnants of the rectangle's border on whatever window was behind RNDRCTMT. The border is usually near the upper-left corner of the entire screen, as the coordinates passed to the Rectangle() function were in relation to the entire screen, not the destroyed window's client area. However, the remnants are usually deleted in most cases, as the destruction of the main window of RNDRCTMT causes WM_PAINT messages to be sent to all windows beneath it that are now visible. A lot of programs merely repaint their entire window, erasing the artifact left over. The best chance to see this artifact is to run the program over the desktop window only (i.e. let RNDRCTMT be the only window open; minimize all others). Ensure that the desktop has repainted itself fully (by waiting for all of the desktop icons to appear) before closing down RNDRCTMT. This precaution is necessary as the program slows down repainting of the desktop after you have minimized the IDE window of your compiler. This is to ensure that Windows will not be in the middle of processing a WM_PAINT message for the desktop window when you close the application, as this repainting may paint over the artifact left over upon program termination. Once this is ensured, close RNDRCTMT. It may take a few tries, but you will eventually see the remnants of an unfinished rectangle - just its border remains. Since the WM_PAINT message to the desktop only repaints the area that was covered by RNDRCTMT, this rectangle border remains in view. Even though cxClient and cyClient are checked to ensure they are not zero, because the application is not synchronized properly, these values can change before they are used in the following four assignment statements. If they become zero during the execution of these assignment statements, the if statement will be too late to catch the problem, and a division by zero will occur (the modulus operator (%) is a division). This will crash the program. There is a third problem in RNDRCTMT.C. The fact that the thread function Thread() never exits is improper. You are supposed to end a thread started by _beginthread() by calling _endthread explicitly or by letting the thread function return (which automatically calls the _endthread() function). RNDRCTMT does neither. I should note that Charles Petzold intended this program to be a simple introduction to how multithreaded applications work. It is meant to be a sample program to show only a few of the necessary components of a multithreaded application. He later speaks of such problems that exist in these sample applications on page 1226, Chapter 20, Any Problems? The chapter then goes on to explain how to resolve such problems. Therefore, there is not much need to attempt to fix this problem until the remainder of the chapter has been reviewed. It was intentional that the specifics of multithreading was taught incrementally throughout the chapter, which results in these first sample programs being incomplete. The MULTI1.C program (on pages 1209 - 1215, Chapter 20, The Programming Contest Problem), the MULTI2.C program (on pages 1216 - 1224, Chapter 20, The Multithreading Solution), and the BIGJOB1.C program (on pages 1230 - 1233, Chapter 20, The BIGJOB1 Program) all use the APIENTRY calling convention several times instead of the standard WINAPI calling convention used throughout the rest of the book. It does not matter which one you choose, as they are the same calling convention. They are both directly or indirectly defined as __stdcall. It is the calling convention used to call Win32 API functions. Please refer to the MSDN page for __stdcall to view its implementation. On page 1230, Chapter 20, The BIGJOB1 Program, the second sentence within the first paragraph mentions incrementing an integer. In the actual program, BIGJOB1.C, the variable that is incremented, A, is of type double, which is a floating point type. On page 1241, Chapter 20, THREAD LOCAL STORAGE, Charles Petzold explains a possibility of how Thread Local Storage may be implemented with the TlsAlloc(), TlsSetValue(), TlsGetValue(), and TlsFree() functions. His explanation is certainly plausible, and this 'under the hood' detailing of the four Thread Local Storage functions helps a new user understand their purpose for existing, and they will find their usage easier as a result. However, the explanation is not correct. The TlsAlloc() function returns a TLS index. While this function's MSDN page does not explain exactly what the TLS index is (Charles thought it may be a pointer to allocated memory), the TlsSetValue() and TlsGetValue() MSDN pages explain a little more. They both state that they were implemented with speed as the primary goal. In this regard, the only parameter validation that is performed on each is to ensure that the TLS index passed in is in the range 0 through (TLS_MINIMUM_AVAILABLE � 1). Thus, the TLS indices are not pointers. The Thread Local Storage MSDN page explains exactly how the system implements Thread Local Storage. Please refer to it for further explanation. On page 1234, Chapter 20, The BIGJOB1 Program, the last paragraph mentions a KillThread function. However, there is no such function. Charles Petzold must have meant TerminateThread. On page 1249, Chapter 21, The Test Program, the szAppName array is initialized with the value "StrProg" which is obviously a cut and paste error indicating that Charles Petzold wrote the StrProg program on page 1258 first, and then modified it to become the EdrTest program on page 1249. On page 1257, Chapter 21, Shared Memory in DLLs, in the STRLIB.C file, the GetStringsA function has a logic error. The return value from the pfnGetStrCallBack call is checked, and can cause a return before pAnsiStr is freed. Therefore, the line of code that frees pAnsiStr should be placed before the if-statement that checks the value of bReturn, but after it is used in the pfnGetStrCallBack call. On page 1294, Chapter 22, Generating Sine Waves in Software, in the SINEWAVE.C program, there is a bug since the call to waveOutUnprepareHeader() follows the call to waveOutClose(). After the call to waveOutClose() the hWaveOut is no longer valid yet is being used in the call to waveOutUnprepareHeader(). "Following the mmioWrite call to write the string szSoftware, a call to mmioAscent using mmckinfo fills in the chunk size field for this chunk." "Following the mmioWrite call to write the string szSoftware, a call to mmioAscend using mmckinfo fills in the chunk size field for this chunk." On page 1336, Chapter 22, in the WAKEUP.C program the program uses windows subclassing. However, the code does not remove the subclass when the window terminates. As explain in Raymond Chen's blog: "One gotcha that isn't explained clearly in the documentation is that you must remove your window subclass before the window being subclassed is destroyed." Because the code in this program has nothing to clean up, it is technically ok. However, if the subclass allocated memory or did something else which had to be cleaned up before termination, then it would be improper. It is best to explicitly clean up all subclassed windows to ensure proper code. Note the available functions at your disposal mentioned in Raymond Chen's article, which are explained on the MSDN article, Subclassing Controls. The problem also exists on page 385, Chapter 9, in the COLORS1.C program, and on page 411, Chapter 9, in the HEAD.C program. On page 1429, Chapter 23, The Update Demo, in the UPDDEMO.C program the InternetOpen() call should have a last argument of 0. Charles Petzold has not implemented a call-back function so he cannot use asynchronous I/O. As mentioned in the About Author section above, the domain cpetzold.com is no longer up. The author's new domain is www.charlespetzold.com. There is an FTP server set up on charlespetzold.com, ftp.charlespetzold.com, but there is no /ProgWin/UpdDemo directory. The only directories that exist are those for previous versions of Programming Windows. Without an appropriate FTP server with the appropriate files, this program cannot be tested. If any one has an FTP server that they can lend for use with this errata page, please contact me, and let me know. I can then include appropriate information here, so readers can change their source code to test this program. "NETTIME next calls WSAAsynchSelect, which is another Windows-specific sockets function." "NETTIME next calls WSAAsyncSelect, which is another Windows-specific sockets function." "It incorporates FtpFileOpen, FileCreate, InternetReadFile, WriteFile, InternetCloseHandle, and CloseHandle calls." However, the function FileCreate does not exist. It should be CreateFile. I am no longer accepting errata submissions, as I have no further time to update this page. Thank you all for your submissions and attention. I hope this page has helped. I bought Programming Windows, 5th Edition to learn Windows programming, and was quite excited to see that it was about 1,500 pages, since I knew that meant it would teach it in depth, and with intimate precision, which is how I love to learn. I need to know how things work at the lowest level. This desire for low level workings is what attracted me to assembly language ever since I first programmed in the 2nd grade, and it also brought my attention to the 'assembly language' of Windows, the Win32 API -- the low level functions that are handling all that neat GUI stuff in the background. So as I traversed the book with great attention, took everything in, and tested it all to make sure I understood it at the root level. I extended every example and concept to beyond what the book stated, to make sure all my understandings were solid. I did not merely want to get something working on the screen. By doing so, I ran across a number of errors and issues within the book. While this list of errors is extensive, many are minor, and I do not believe that I have done anything special. Anyone with the proper attention to learn the issues at hand, for real, will arrive at the same conclusions. For each issue, I sent Charles an email. I didn't expect this, but soon I had sent over 50 of these emails. I finally reported a potentially critical issue with a core construct: the Message Loop. This is intrinsic to not only every Windows program in the book, but to every Windows program ever made. As this book is the bible to Windows programming -- Charles is one of only seven people (and the only author) to receive the Windows Pioneer Award for his work -- it means a lot of Windows programs were made using it and prior versions. So this disturbed him, and I was concerned greatly.